﻿ Student Geoscientific Society e.V. 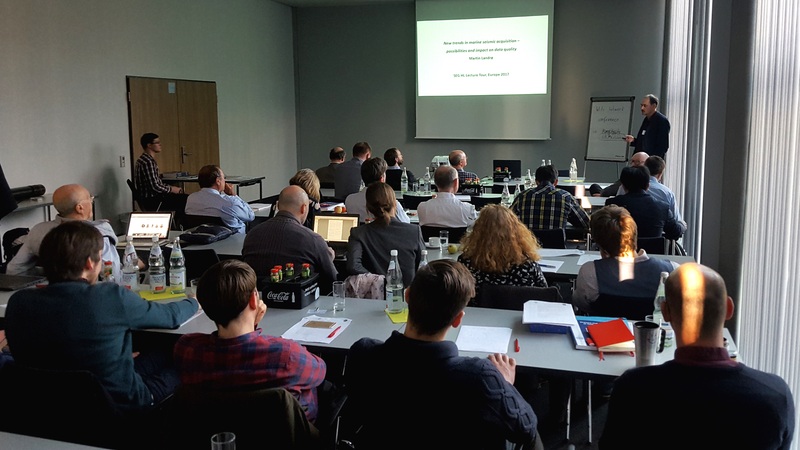 On February 12, 2019, SEG Honorary Lecturer Dirk Gajewski gave a talk on Wavefront attributes – A tool for processing, imaging, and model building. Click on the photo to read the full report. 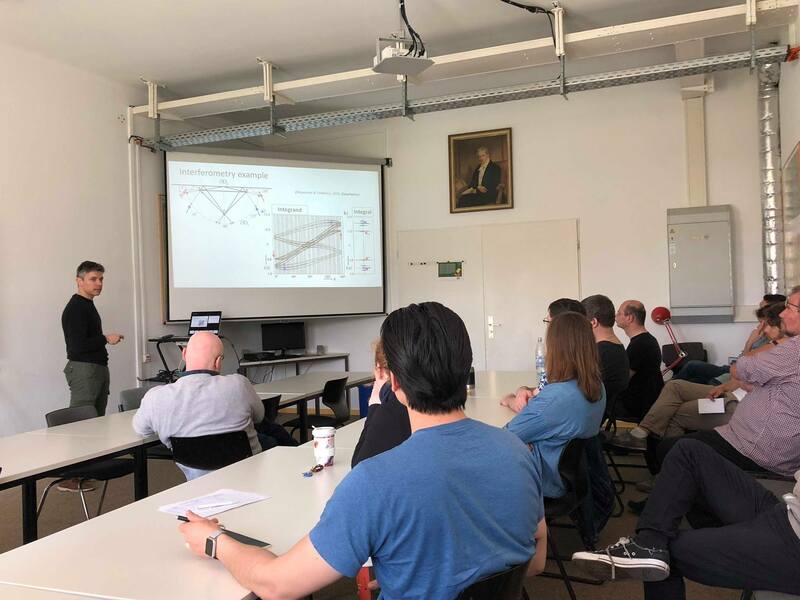 On April 17, 2018, SEG Honorary Lecturer Ivan Vasconcelos gave a talk on Full-wavefield focusing in seismic imaging – Concepts, applications, and examples. 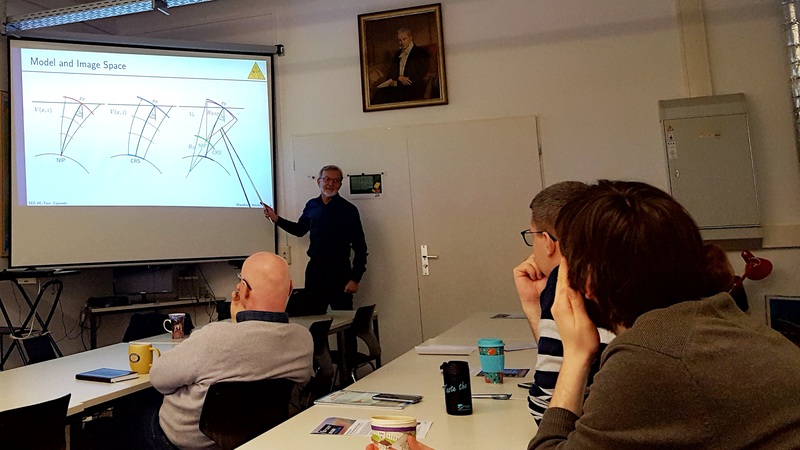 On February 24, 2017, SEG Honorary Lecturer Martin Landrø gave a talk on New trends in marine seismic acquisition – possibilities and impact on data quality. 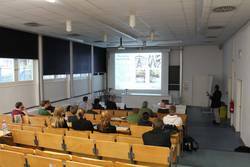 On November 11, 2016, SEG Dinstiguished Lecturer Steven Constable presented his ideas on Marine EM: The Past, The Present, and The Future. 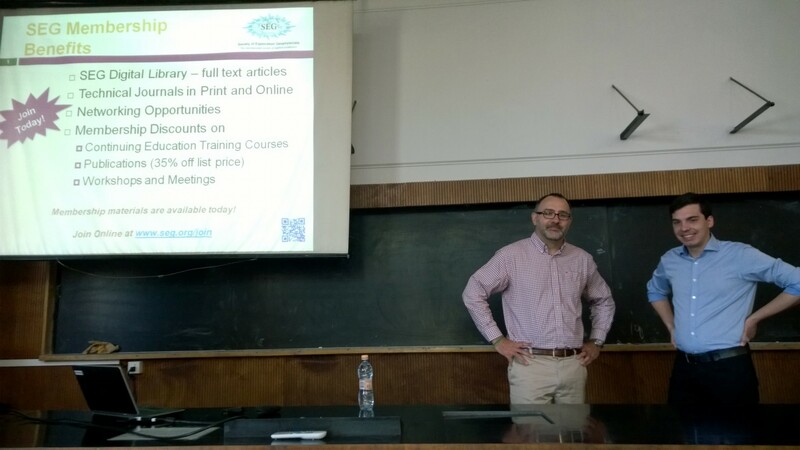 On February 24, 2015, EAGE Student Lecturer Paolo Dell'Aversana visited lecturing on Integrated Geophysical Models - Theory, examples and implications on creativity. 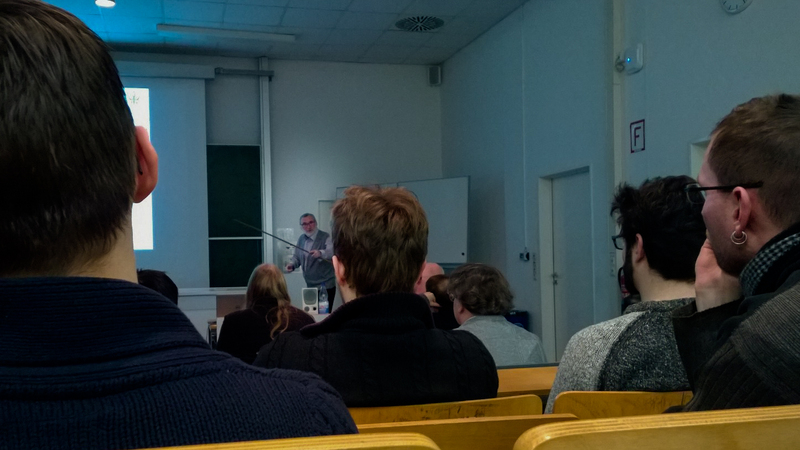 On February 10, 2015, we welcomed Honorary Lecturer Evgeny Landa for a talk on Pitfalls and challenges of seismic imaging. 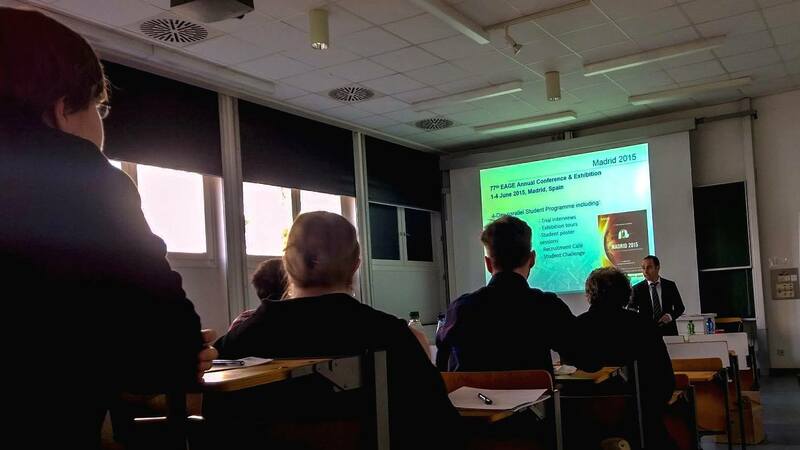 At the beginning of the summer semester a group of students from Berlin went to Krakow to partake in the SEG Honorary Lecture Europe 2014. 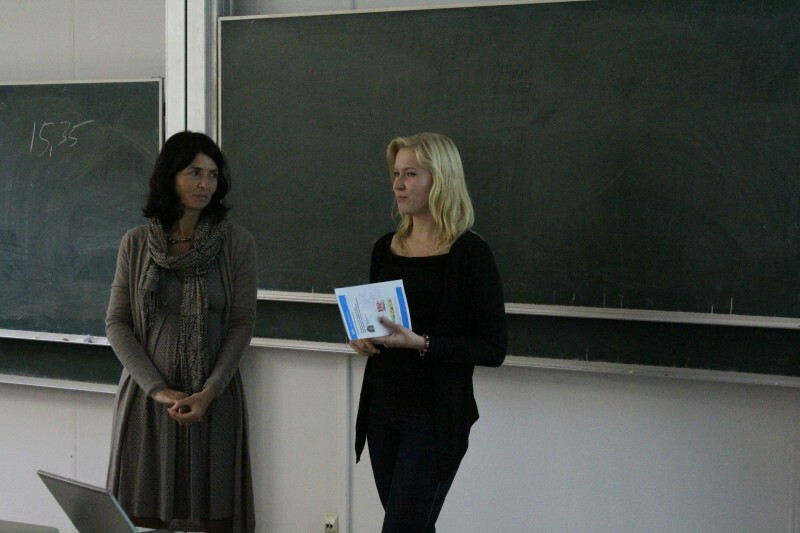 On September 3, 2013, Valentina Socco visited SGS in the framework of her Honorary Lecture 2013 Tour with her talk on Surface wave analysis for near-surface characterization. 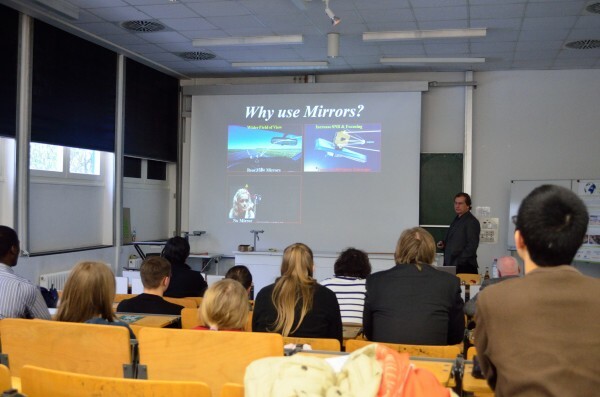 On March 28, 2013, Gerard T. Schuster visited SGS in the framework of his Distinguished Lecture Spring 2013 Tour with his talk on Seismic Interferometry and Beyond – Harvesting Signal from Coherent Noise. 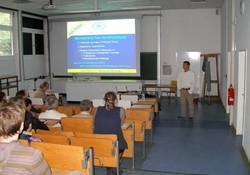 On October 1, 2012, SEG Honorary Lecturer Rick Miller presented his ideas on Near-surface seismic: More than a problem of scale. SEG Honorary Lecturer Lucy MacGregor visited SGS on May 10, 2011, for a very interesting presentation on Integrating well log, seismic, and CSEM data for reservoir characterization. 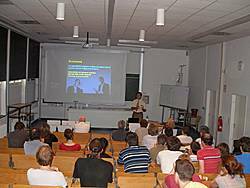 On June 28, 2010, SGS welcomed SEG Honorary Lecturer Aldo Vesnaver, who gave a talk on Talking and listening to reservoirs: Production monitoring by active and passive seismic. 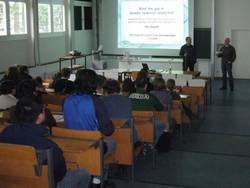 On October 9, 2009, SGS had the honor to host a talk of SEG Distinguished Lecturer and WesternGeco chief geophysicist Craig J. Beasley on Lessons learned from simultaneous source investigations. 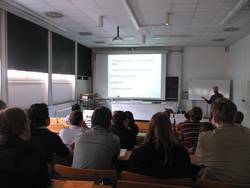 On May 11, 2009, SEG Honorary Lecturer Per Avseth gave an insight into his ideas and results on Mind the gap in seismic reservoir prediction: How rock physics can bridge the gap between qualitative geology and quantitative geophysics. 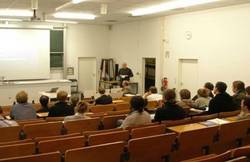 On October 1, 2008, we welcomed SEG Distinguished Lecturer Peter M. Duncan at our institute. 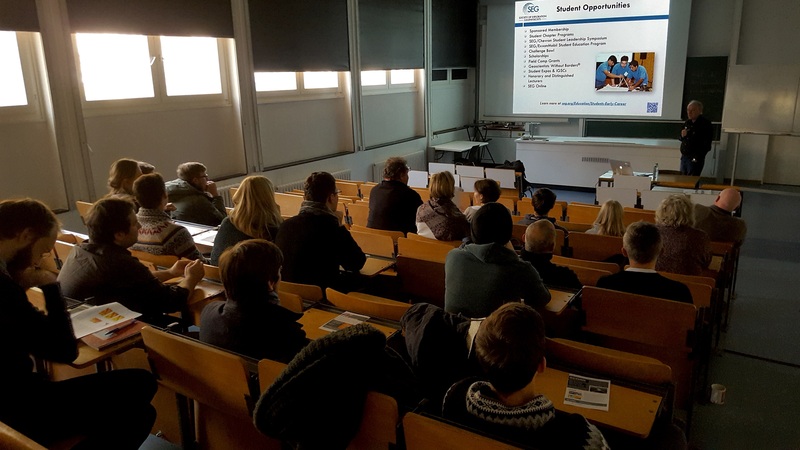 The founder and president of Microseismic gave a talk on Aggressively passive: Microseismic opportunities over an oilfield’s life.